My latest PopMatters articles is now up for your reading pleasure: Mastering Systems of Emotion. Check it out. I believe it was Clint Hocking's talk during the Game Developers Conference that mentioned how fiction and gameplay are inexorably bound. His example was a Train version of Tetris, in which fitting the pieces together well represented good management of fitting Jews into train cars. People would play the game completely differently, or not at all. The pieces, because we know what the symbolize, create different meaning than the abstract pieces of the original game alone. Systems of emotion, I imagine, are game systems in which we are not explicitly told what game components symbolize, but designers intentionally lead players to interpret them within a general theme. If players are contributing to the emotional system by imbuing symbols with personal meaning, than the emotional efficacy of the game will be strong. Somewhat tangentially, almost two years ago exactly, I wrote a brief review of The Path. I called the game "obscure. "Michael Samyn, one of the game's designers, stated: " I think it's as clear as it can possibly be. But its subject matter is complex, making it impossible to give straight answers." To be honest, I did not really agree with him or really understand what he meant until now. If The Path models an emotional system in which each interactive object and location jointly evoke particular emotions regarding specific themes, then Michael is very much correct. All The Path requires is that players keep an open mind and follow it. I do not think the game has any more intention than to have players confront their own feelings that arise as Tale of Tales escorts them through the forest. 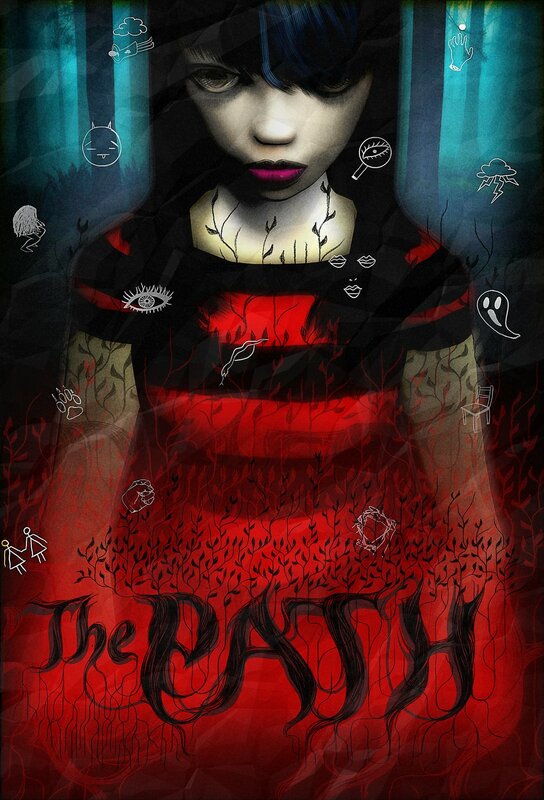 Even now, The Path is a beautifully designed game and, control scheme aside, a great example of designer-player storytelling. "in which fitting the pisses together" - you might want to correct that typo, amusing as it is. Egads, freudian slip. Thanks anon!